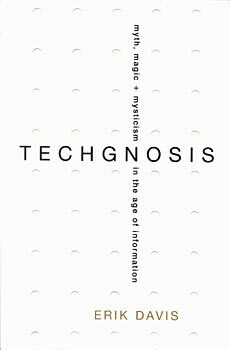 Exploring the mystical impulses behind our obsession with information technology, TechGnosis presents a fascinating and passionately original perspective on technoculture. Today we often assume that the triumph of technological rationality has condemned the spiritual imagination to the trash heap of history. But as Erik Davis explains, religious impulses and magical dreams permeate the history of technology. Ranging from the printing press to the telegraph, from radio to the Internet, David peels away the utilitarian shell of technology to reveal the mystical and millennialist fervor that attends each new communications breakthrough. As he unveils the hidden history of techno-mysticism, Davis shows how the religious imagination continues to feed the utopian dreams, apocalyptic visions, and alien obsessions that populate today's technological unconscious. In these pages, Davis offers a lucid, playful, and astonishingly erudite journey through our hyper-mediated environment. Anyone grappling with the morphing boundaries and terminal speed of our present moment will want to take the ride. Techgnosis is a tour de force of scholarship, insight, and juicy writing. Like McLuhan, Erik Davis sheds light on the shadows--the places we've neglected to look, in our search for teh meaning of human inventions.